Grease is inescapable in a kitchen environment, especially in and around grills and fryers. Over time, this grease builds-up in kitchen tile and grout, creating a slippery, safety hazard. 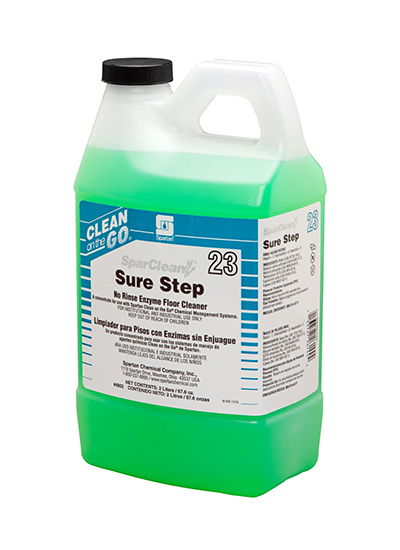 SparClean Sure Step is a no-rinse, enzyme floor cleaner that breaks down built-up grease, improving slip resistance. SparClean Sure Step enzymatic action continues to work even when the floor is dry!